Sebrights are very poor layers with few eggs and small eggs at that. 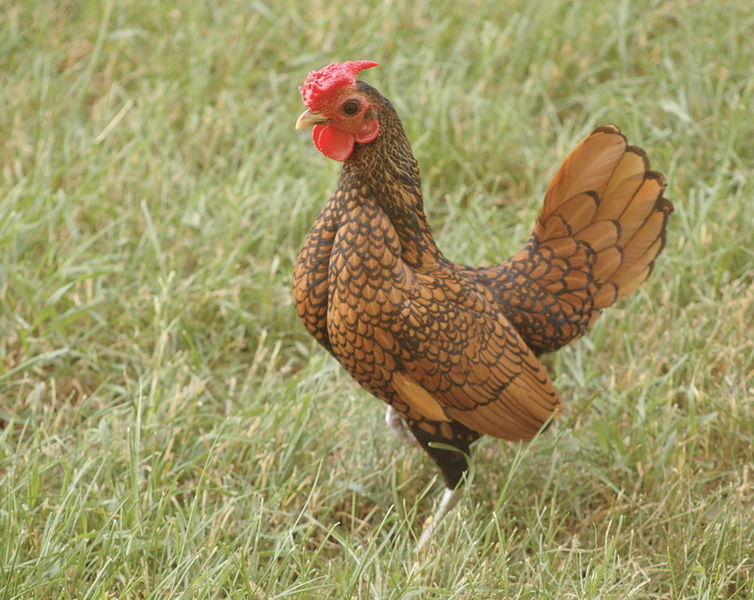 Being a bantam, you can’t make a meal out of them, so their primary function is as a decorative bird and a show bird. Being so small, it’s very easy to fit a large number of them into one hen house, and as they get along well with each other, you can even have a few roosters living together. Sebrights are a flighty bird with a lot of pep to their step and pluck to their peck. 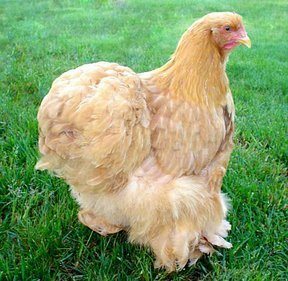 Hens aren’t very broody with their chicks and males aren’t particularly keen on crowing all the time, making them a quieter breed to have around. 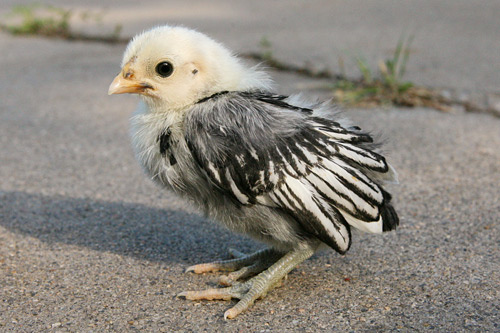 Sebrights are a pure bantam breed and are therefore very small in comparison to most other chickens. 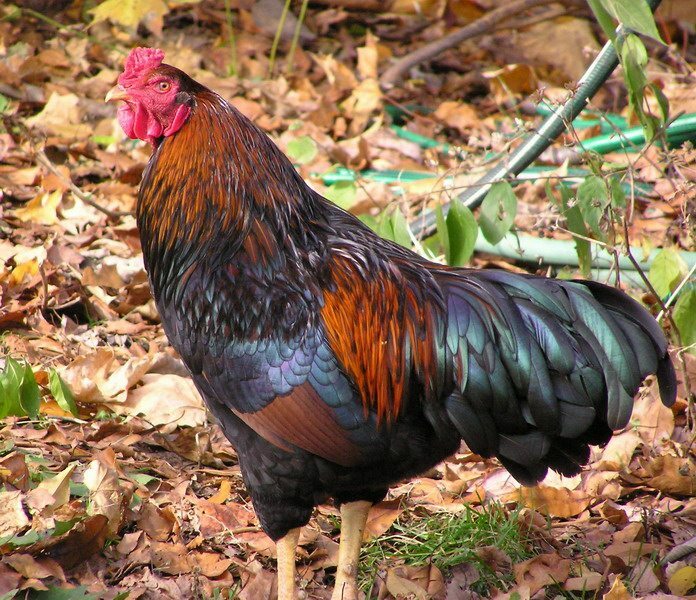 But beyond their small size, what’s also interesting is how the males and females are nearly identical in appearance due to breeding roosters with hen-like feather qualities. Because of their small size, they have a very prominent breast and a youthful demeanor about them. 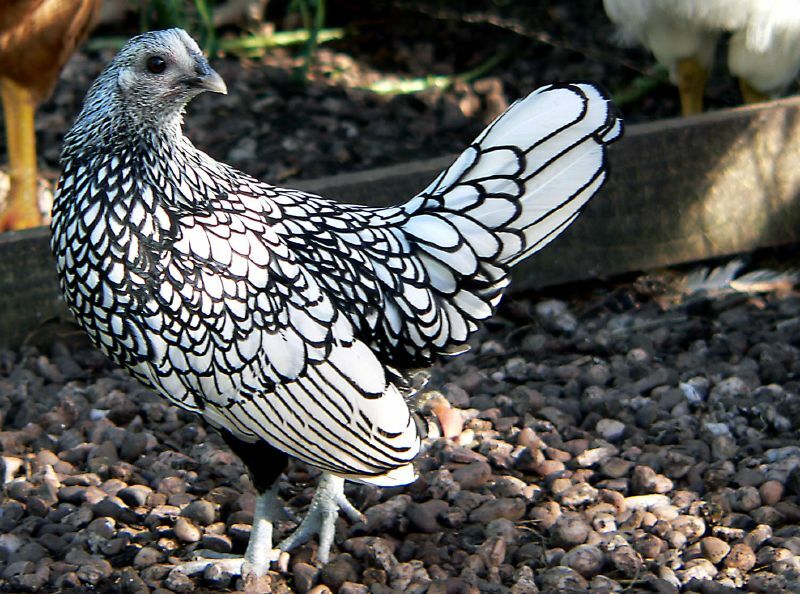 There are no ornamental feathers on their bodies, allowing them to have a very striking laced pattern in either a gold pattern with black lace or a silver pattern with black lace, though other colors are slowly being breed. They have a short head with rose combs. Because they’re so small, Sebrights are easier to keep in smaller spaces. They do need warmth to decide to procreate, so the best time to try breeding them is during the spring months. Most important to be a ware of is that Sebrights are prone to Marek’s paralysis, a disease that can strike fast and is always fatal. Because of this, it is imperative that all Sebrights are vaccinated early. Always ask to make sure the Sebright you’re getting is vaccinated, otherwise set aside time to get it done. 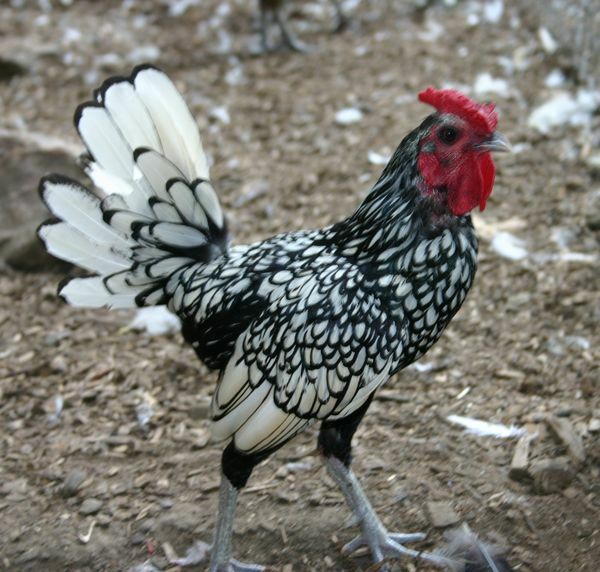 While we aren’t entirely sure which breeds were used to create the Sebright, we do know that the breeder Sir John Saunders Sebright is the creator and namesake of the breed, which happens to be a true bantam as they are the standard size, not a variant of a larger breed. Dating back to around 1800, Sebright’s attempts seemed to be a smashing success.